some may argue on what’s there to review about a stylus but I beg to differ. 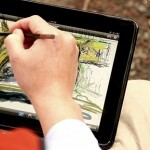 a stylus, if you choose to use it, becomes an extension of your finger, so to speak. hence, it should be comfortable to hold, while still performing its duty faithfully. having been an user of styluses since the Palm Pilot era, naturally i was eager to explore the unusually fat stylus from Studio Neat, dubbed as the Cosmonaut. 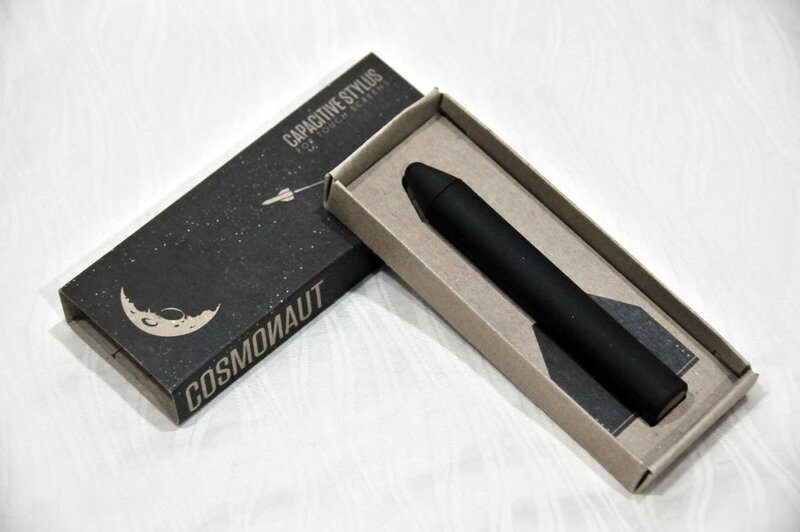 my first impression of the Cosmonaut was that it stands out from the sea of styluses with its fatter-than-usual design, which is the way I like it – prominently different with a style. on the user experience aspect, it feels totally natural to be holding it as compared to those skinny styluses and its fatness turns out to be a bonus if you have big hands like me. additionally, its rubber grip body also plays a part in boosting its comfort level, giving it a soft feel when holding it. 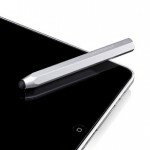 the soft feel endows the stylus a more ‘organic’ feel rather than just a cold hard accessory. also differentiating it from the rest is its weight: it feels pretty weighty (45 grams, to be exact) but it is still well balanced with heavier feel towards the stylus tip, though this ‘weighty’ part does strain your wrist a little upon prolonged use. i used the Cosmonaut to play a few rounds of Bejeweled Blitz and just ten rounds (around 10 minutes), i was already felt a strain along my wrist. the stylus tip here offers a smooth glide on my iDevices’ screen without any sign of resistant or slippage and it will feel equally at home on apps like Notes, and Adobe Ideas but not necessary as natural as compared to using your all-natural fingers. with this stylus, you will have to apply a fair amount of pressure to get things going, and this is especially prominent on the 1st gen iPad but not so much on the iPhone 4. i tested its drawing performance with Adobe Ideas, which i experienced the need to apply significant amount of pressure to ‘touch’ the icons, and as well as carrying out the drawing process. honestly, i was rather disappointed in the latter observation. however, it did excel in tapping on the tiny keys of the iPhone virtual keyboard. at this point, i have to agree with the late Steve Jobs that God has given us ten styluses and thus, we probably don’t need an additional one but if fat fingers are getting in your way in your digital doodling, then this Cosmonaut should work reasonably well (albeit having to apply a little more pressure then i think it should). as for the price, at $25 a pop, i wouldn’t refer it as outrageously expensive but i would just say it is the stylus to grab only if you really need to use one.